REXBURG, Idaho — At the conclusion of Spring Semester 2016, 174 PathwayConnect alumni will have finished their journey to an associate or bachelor’s degree having successfully completed their online programs through Brigham Young University-Idaho. And 44 of these students will attend graduation ceremonies live on the BYU-Idaho campus. Overall, 6,671 students will complete PathwayConnect this semester. Since Pathway started in 2009, 21,910 will have completed the program. Including the most recent totals, 1,020 BYU-Idaho degrees and certificates have been awarded to former PathwayConnect students. The upcoming academic term for both PathwayConnect and BYU-Idaho courses starts September 12. 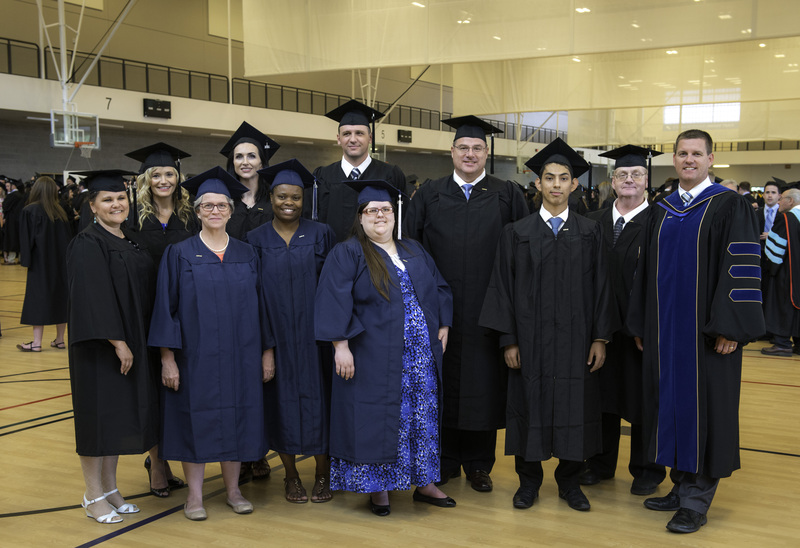 Of the 175 former PathwayConnect students who graduated Spring Semester 2016, 44 traveled to the BYU-Idaho campus to personally attend graduation events.